Viknesh Vijayenthiran September 17, 2018 Comment Now! Update: The 2019 Mercedes-AMG A35 hatchback has been revealed. You'll find all the details at this link. 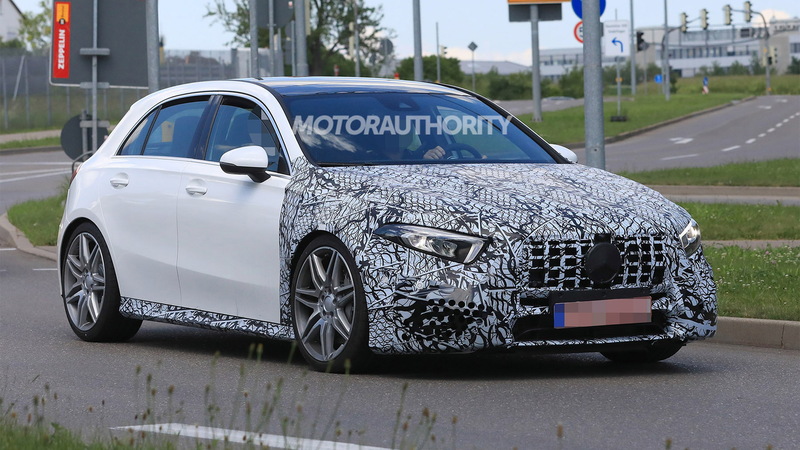 Mercedes-Benz's latest A-Class has already arrived in hatchback and sedan guises, and soon we'll see another A-Class variant revealed. 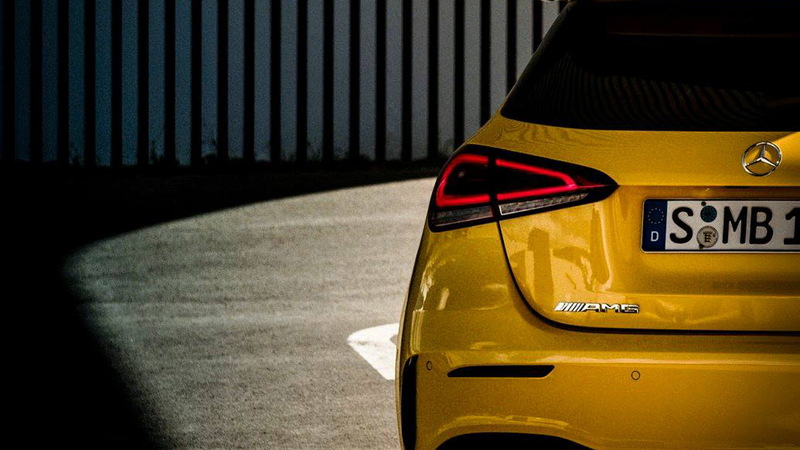 We're talking about the new Mercedes-AMG A35 hot hatch due in October at the 2018 Paris auto show and previewed here in a pair of teaser photos. 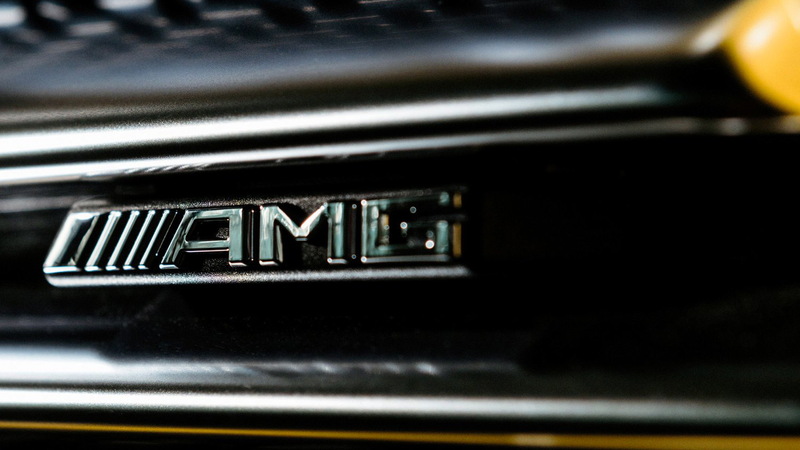 For its next generation of compact cars, AMG plans to offer two levels of performance. There will be direct replacements for the current crop of 45 series cars, plus a new crop of slightly tamer 35 series cars. The A35 hatch is the first member of the new 35 series. The series will essentially replace Mercedes' 250 Sport trim sold in some markets. The 35 cars will likely boast a 2.0-liter turbocharged inline-4 with around 300 horsepower. All-wheel drive is a given, but the cars' party trick may be an electric compressor to build boost pressure at low rpm. Don't look for the A35 hatch in the United States, though. Since Mercedes will only grace us with an A-Class sedan to compliment a new generation of the coupe-like CLA, and both cars are known to be receiving the A35 treatment, the first 35 series member in these parts should be an A35 sedan. As for the replacement for the current 45 series cars, we hear they may upgrade to a 50 series to reflect a boost in performance above 400 hp. The current 45 series cars come with 375 hp. 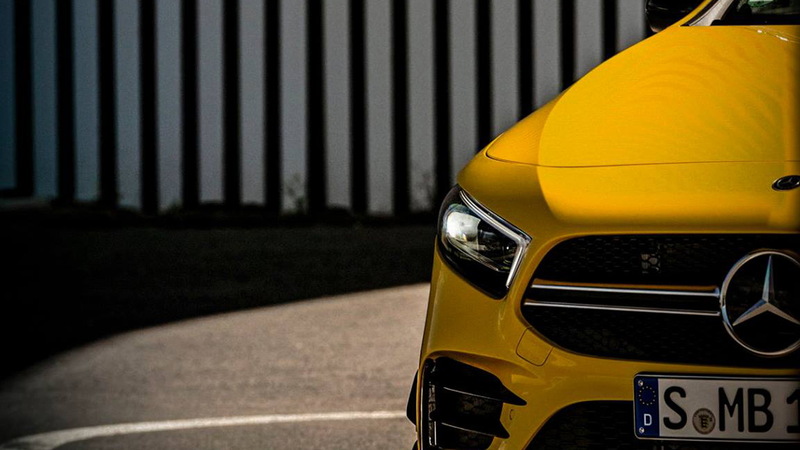 There are also rumors that there will be both standard and extra spicy S variants, so AMG fans already spoiled for choice will have even more options to choose from. 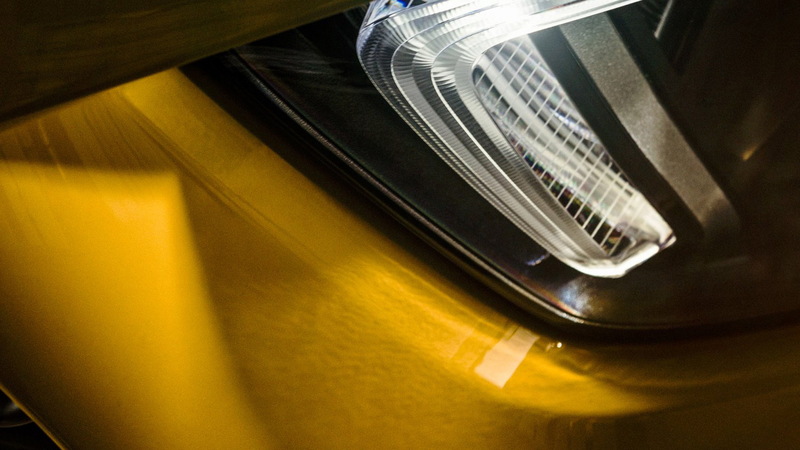 We'll have all the details soon as the Paris auto show starts October 2. Visit our dedicated hub for more of our coverage.